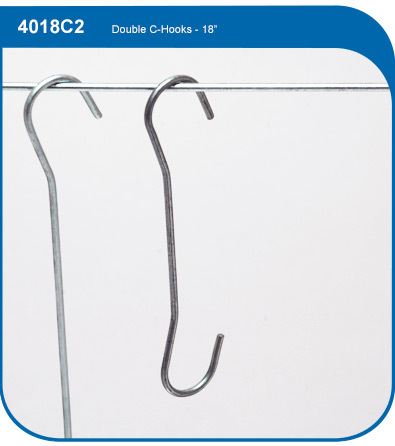 The Double C-Hook - 18" Length is a sturdy double-hook attachment to support and suspend medium-weight signage or banners to a ceiling connector. Hook length is determined on a measurement from inside of hook to inside of hook. The Model #4024C2 measures 18" in length and is made from 3/32" diameter galvanized steel with a 5/8" diameter hook at either end.